Hello, my name is Ashley and I am addicted to Chapstick ... cherry flavor. Chapstick has been my achilles heal. Every time I try to give it up and use a natural chapstick it never works. After a few hours, my lips are burning and I grab that evil little bottle of Chapstick again. My lips are taking a beating during this cool Wisconsin winter and no chapstick seems to do the trick anymore. I have thrown every Chapstick out of my house in complete frustration and anger. My lips have had enough! The addiction must end! 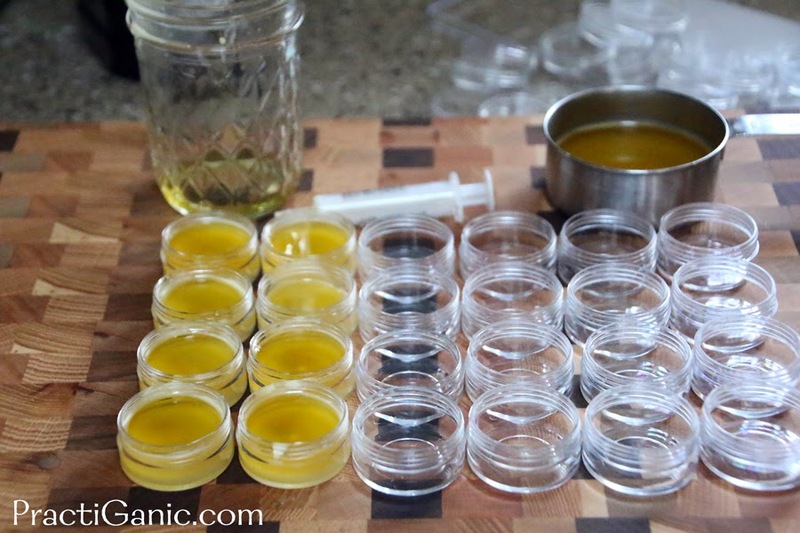 I tried making a lip balm with beeswax and still my lips weren't happy. Wind out of my sail ... I thought I was going to go back to Chapstick! Ugh. I have to keep going ... be strong! I have been using an Anti-Aging Sugar Scrub for my dry skin, so I figured a good place to begin replenishing my lips would be a sugar scrub too. I tried it and my lips felt great. 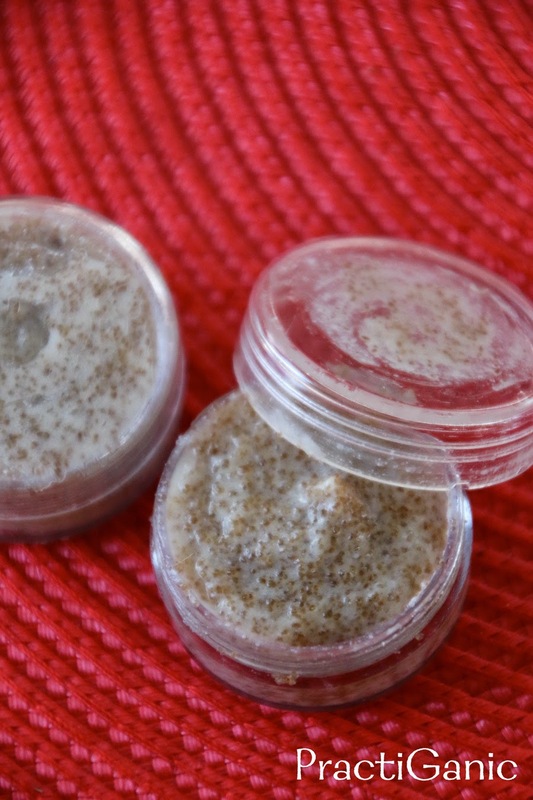 I made a special lip scrub for my lips and it is working great, however, I didn't want to use the sugar scrub when I was out and about. I knew I still needed something for my lips on a day-to-day basis. I gave a girlfriend some of the beeswax lip balm I made seeing if she would like it. We began talking about the need for a barrier against the elements and we needed more than just coconut oil, but the beeswax wasn't working for me. After she left, the idea of lanolin popped in my head. Most every mom has some in their home from when they were breastfeeding. It is a great barrier and I thought I would try substituting beeswax with lanolin to see what would happen. The outcome is pure greatness! 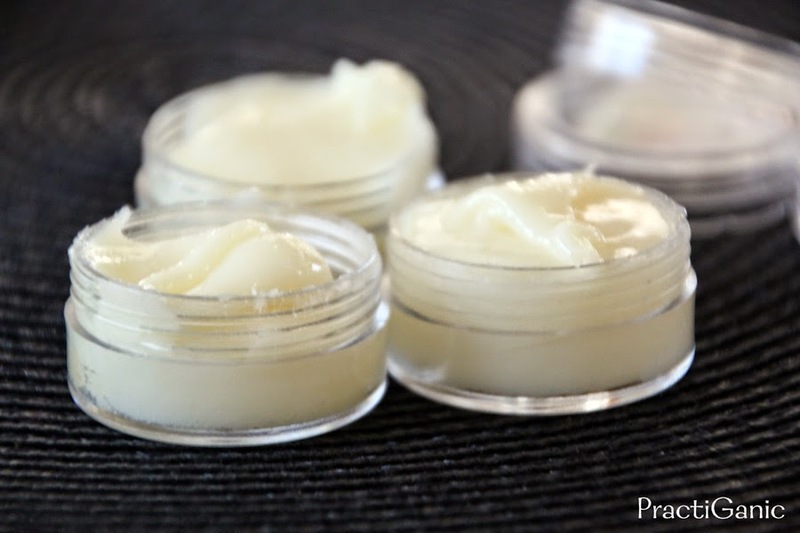 It is a soft butter-like consistency and it stays on my lips longer than just oil. So far, my lips are still in heaven. I haven't needed to use chapstick for a few days and my lips have never felt better! I tried my beeswax lip balm again, now that I haven't been craving Chapstick and my lips were a lot better with it. I don't know if it was my 'addiction' to Chapstick that made my lips irritated when I tried using it the first time or if my lips just got used to the oils more, but it's working. 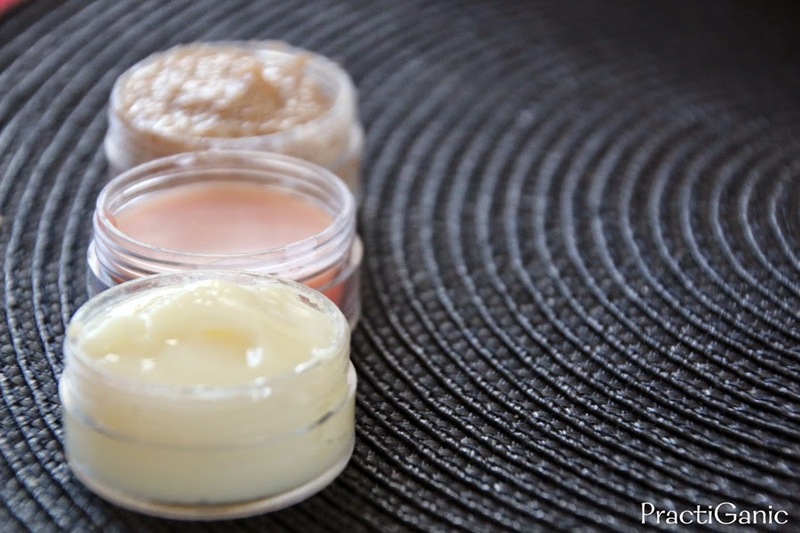 Now, I use the sugar scrub in the morning and the lip balm when I need some protection. If my lips get chapped or dry from a day ... out in the 15 degree Wisconsin Wonderland ... I bust out the lip butter for some intense moisturizing. I've been off of the 'sauce' for a week now and my lips are feeling better than ever. What's even better is that I'm not grabbing for Chapstick 20 times a day! I have gone full days without putting anything on my lips and they don't seem to mind. They are smooth and I no longer have the flaky chapped lip feeling! I have spent most of this past winter playing around with different recipes and finding what is okay for lips and what's not. There are lots of websites that have conflicting information so it was really hard to find 'the truth'. This is the PractiGanic truth and what's working for me and my fam ... in our elements. Everyone's skin and situation is different. If you find something isn't quite right for you, change up the proportions a little until you find what you love. The coconut oil and shea butter are great moisturizers. Honey is a natural source of vitamins and minerals and it helps your lips retain their moisture. 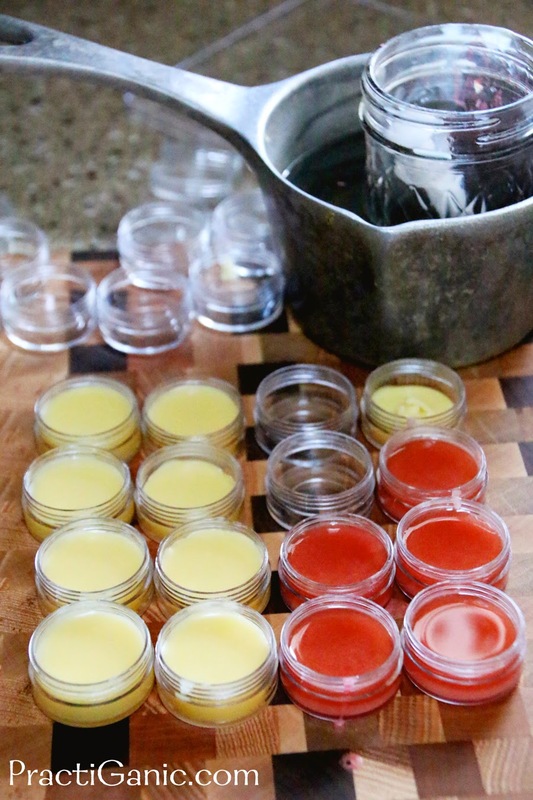 Beeswax is a natural component that also helps your lips retain their moisture. It also has a bit of an antibacterial property that can really helps against severe chapped lips. Put all ingredients except for the essential oils in a jar. Put the part in pot and fill the pot with water around the jar. Be careful not to get water in your jar. This makes a very easy double boiler. Leave the pot on medium heat, stirring constantly, until your beeswax has melted. Remove from heat and add essential oils and Vitamin E . Leave the jar in the water so that the lip balm stays warm and doesn't harden. Using a syringe, fill your lip balm containers one at a time. Let them sit for about 10 minutes before you cap them. 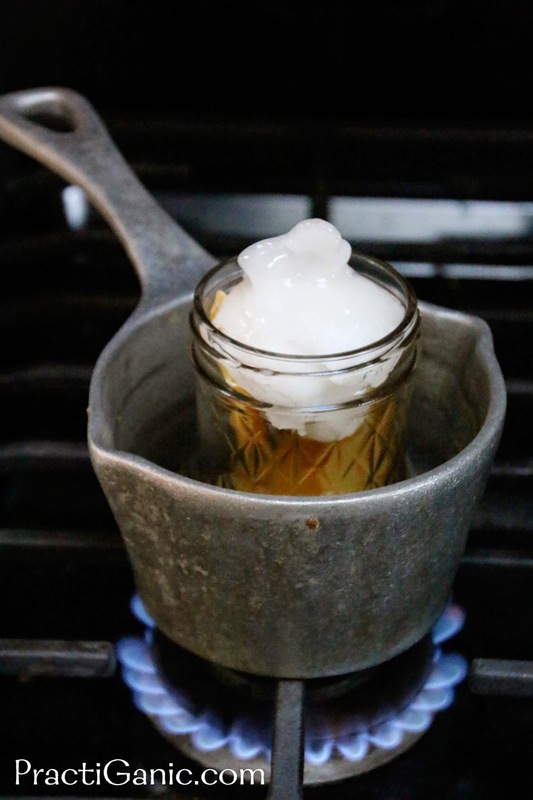 Use as much as you'd like, but if you'd made to much, simply cap the mason jar and when you need more, melt it again. To add a little tint, use beetroot or cacao powder or just add a little of your favorite lip stick! *If you aren't concerned with having a barrier from the wind and cold, simply replace the lanolin with mango butter ... another great moisturizer! Mix all ingredients in a bowl, put in container for use. This mixture is very loose so make sure it is in a container that won't leak. Put all ingredients in a bowl and mix until thoroughly incorporated. Put in a small container and use when you need it. When you use it, massage the sugar scrub into your lips and then wipe off. 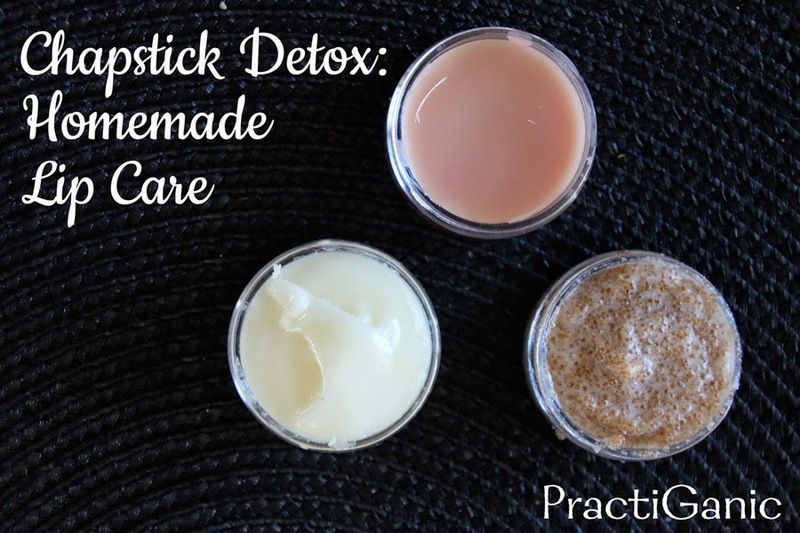 Your lips will be left feeling silky smooth!